But, what about a New Year’s Resolution for your home? You want your home to be happy and healthy too. Here are Bonney’s Top 5 New Year’s Resolutions for your home. 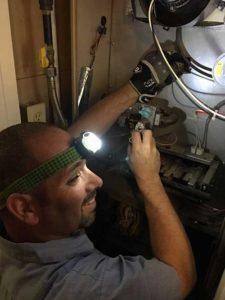 In the New Year resolve to tune-up your HVAC system and give it some extra TLC. An annual inspection of both the furnace and the A/C will extend the life of the system, reveal potential health hazards (like a carbon monoxide leak), and help cut down on energy bills. A thorough Bonney precision tune-up on your heating and air conditioning systems will keep them running at peak efficiency. Draining the water heater is something we all need to do on a regular basis, especially if there’s rumbling, popping, and crackling coming from it. 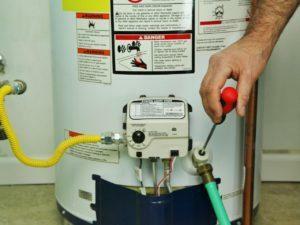 That bubbling sound you hear could be mineral buildup at the bottom of your water heater. Sediment buildup at the bottom of the tank means it takes longer for the flame to heat the water, preventing the water heater from working efficiently. Sediment also causes cracks in a water heater and with enough build-up, the tank might stop working altogether. Resolve to flush annually! A dirty air filter is the most common reason a heating and air conditioning unit breaks down. As dirt accumulates, air can’t pass through and the system may overheat. This makes the motor work much harder and your air conditioning unit may have to be repaired. In older units it could push it over the edge and be the end of the road. Kaput! Replacing your air filter on a regular basis can also keep your energy costs down. When your dirty clogged up air filter is working harder, more energy is being used, which can cause your bill to skyrocket. When you consistently change your air filter, you can save from 5 to 15 percent on your utility bill. Let there be bright light! Think about it. The same LED technology that lights up the Times Square Ball on New Year’s Eve can also be used to brighten your home. There are numerous benefits to replacing your CFL bulbs with LED lighting. LED’s are notable for being extremely long lasting. 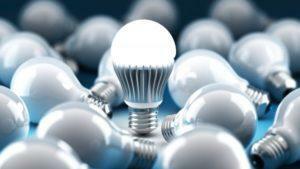 LED bulbs have an average lifespan of up to 11 years. Which means you won’t have to get on a step ladder and change out a light bulb every few months. Many LEDs have a rated life of up to 50,000 hours, which is approximately 50 times longer than a typical incandescent bulb and 8-10 times longer than a CFL bulb. LED lights are very energy efficient. They use just 10 percent of the energy of incandescent lights and less than half the energy of compact fluorescent bulbs. An LED that uses 6 watts of electricity produces the same amount of light as a 14-watt CFL bulb or a 60-watt incandescent bulb. According to the U.S. Department of Energy, electricity used for artificial lighting in the U.S. could be cut by nearly half by 2030 through the adoption of high efficiency LEDs. Resolution #5: Save Money. Save Water. Fix The Leaks! A leaky faucet or running toilet can be more than a little annoying. Not only is it annoying, it can cost you a lot of money. 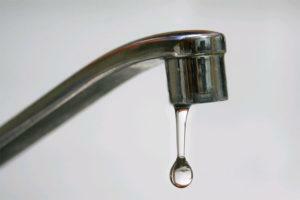 The EPA estimates that the average household leak can lead to 10,000 gallons of water wasted per year. A leaky running toilet is another water waster that will make your water meter spin and cause your water bill to skyrocket. Save Money, Save Water. Fix the leaks! Take care of yourself AND your home with these New Year’s Resolutions for your home. If you have any questions or need assistance with any of these New Year’s Resolutions calling Bonney Plumbing, Heating and Air at 800-444-0551800-444-0551 or contact us online.